Society Publications are now available to buy at Society Meetings and from the staff of Biddulph Library. Books can be posted when the cost of postage has been agreed or can be bought as an Adobe PDF copy which can be eMailled to you by contacting David Outhwaite (Secretary of the Society). Please email David Outhwaite and request an order form. If you would like to download the list of publications with contents and price click here. The book will be on sale at the April meeting of the Society and the next “Sale of Books” on Saturday the 20th of APRIL 2019 in Biddulph Library, Tunstall Road, Biddulph ST8 6HH between 10 a.m. - 2 p.m. The original book was been compiled by Elaine Heathcote, Margaret Fernyhough, David J. Outhwaite, Kath Walton and Derek Wheelhouse and published in December 2007. Elaine Heathcote has spent the long winter evenings updating the book and adding additional photographs. David Outhwaite surveyed the High Street shops in March of this year to add the latest list of businesses and photographs of the new developments - The Post Office, Sainsbury’s and J.D. Weatherspoon’s. Over 200 pages of information about the families who have lived on Bradley Green High Street; with a detailed history of the buildings and photographs of many of the businesses. The book has 216 A4 pages and still costs £12.99. March the 23rd 5th 2018 saw the launch of two new publications. 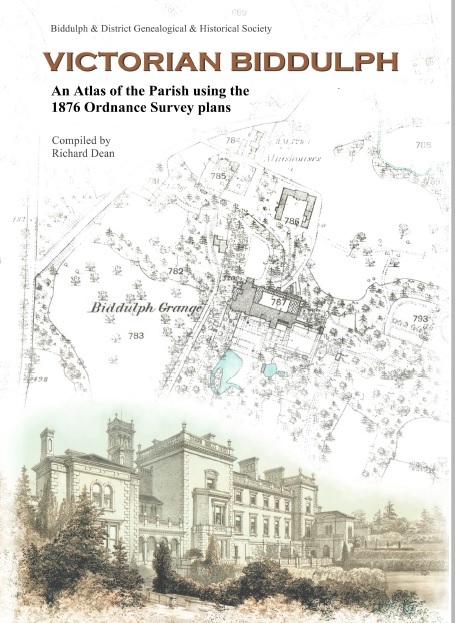 NEW B08 “The Surveys of Biddulph” of February 2019 combines the “Survey of the Population of Biddulph in 1779” and the “Survey of the Population of Biddulph in 1801.” Both of the census documents collated by Derek Wheelhouse are now printed in one document and cost £3.00. (20 pages). December the 15th 2018 saw the launch of a new publication. Cavalryman Voltelin Percy Heath by Michael Turnock is the story of a Royal Horse Guard Soldier in the Great War 1914 - 1918 with a plaque in St. Lawrence’s Church, Biddulph. Cavalryman Voltelin Percy Heath costs £3.50. (24 A4 colour pages). December the 17th 2018 saw the launch of a new publication. This book combines two articles ‘A History of the Chatterley Whitfield Railway by the late William Jack III’ edited by Mr. Roland Machin and ‘The Workings of the Locomotives and Trains of Private Firms over the North Staffordshire Railway’ by Dr. J. R. Hollick. Transactions No. 13 costs £5 (76 A4 pages). November the 27th 2018 saw the launch of a new publication. This book has been created by converting 201 pages of hand written notes in exercise books written by Cadet Machin during the First World War. The training notes include chapters on the theory of flight; the theatre of War, observation and mapping; the instruments; the engines; and, on reconnaissance and armaments. 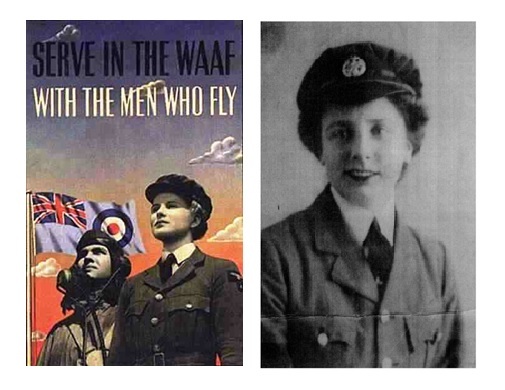 The book includes an introduction and addendum written by Roland Machin whose father John (known as Jack) and his elder brother Harry had followed John Egbert into the Royal Flying Corps. The Flight Training Notes of J. E. Machin is on sale at £5.00 (84 A4 pages). October the 24th 2018 saw the launch of a new publication. This book is a reprint of George Herbert Barber’s autobigraphy which was first published in 1937. It has a prologue written by Brian Barber who is one of George’s great grandsons. Subjects covered include the setting up of Cinemas in the Potteries, working at the New Chemical Works, Stoke-On-Trent City Council with the “Lid Off”, trips by air in the early days of aviation and flights to the Continent, Palestine and Egypt, visits to Russia and Geneva, the Sunday Cinemas and experiences with Royalty. From Workhouse to Lord Mayor is on sale at £7.50 (84 A4 pages). This book is a reprint of the articles in the ‘The Gardeners’ Chronicle’ written by Edward Kemp who was born in 1817 and served as a garden apprentice under Joseph Paxton during the 1830’s. The articles are from the years 1856 and 1862 and describe the gardens in detail. A short biography of Edward Kemp and some of the drawings from his book Landscape Gardening, re-published in 1911, are included as well as a nine page colour picture glossary of the plants included in the articles. 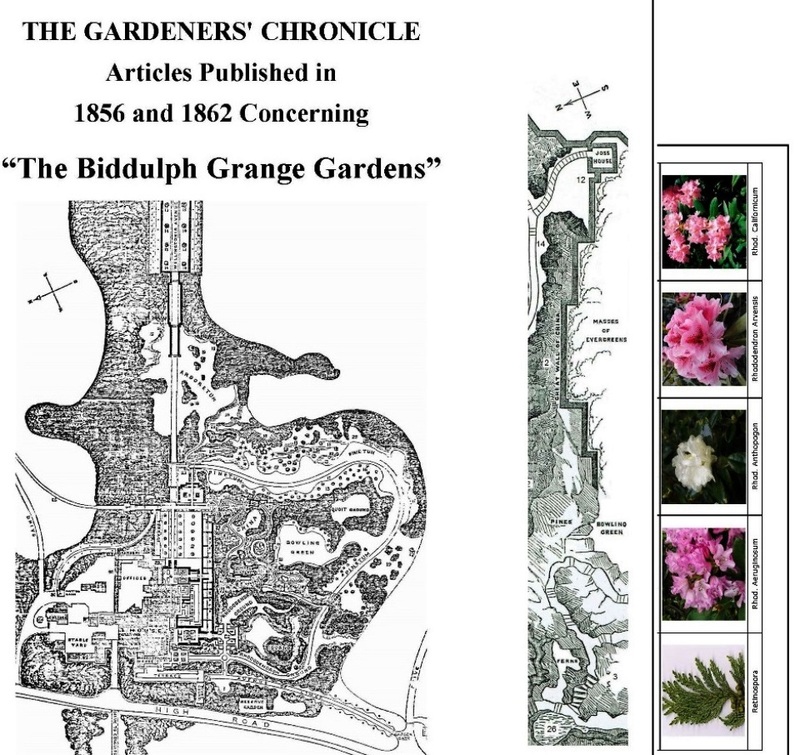 Biddulph Grange Gardens is on sale at £5.00 (52 A4 pages). The book charts the rise and fall of a Biddulph company that was at the forefront of both coal cutting and steel pressing machinery and includes more information about the Cowlishaw family. The authors, Gordon and Pam Lomas will be available to sign copies of the book in the morning and there will be a display of photographs featuring the staff of the Company in the 1940’s, 1950’s and 1960’s. The History of Cowlishaw Walker is on sale at £5.00 (52 A4 pages). Christine Jesson found this book on her late father’s, Harry Page’s, book shelf. She thinks that when Mr. Page found the book in the 1970s he noticed the dedication to the Goodfellows at Woodhouse Farm and this led him to read the book where he saw that the story involved characters from Middulph, Middulph Moor and Mypersley. This is the centenary year of remembrance for John Harold Rhodes who died on those far-away battlefields in France in November 1917. This booklet “Always Doing His Duty,” is intended as a tribute to a local hero and is not intended to glorify war in any way. The army service record of John could not be found and so other forms of research into his military history were sought. The story of the Grenadier Guards and the battles in which John’s battalion fought, old newspaper articles, and importantly the recollections, family stories and photographs shared by a man with an ardent interest, Mr. Arthur Potts. All this we hope will add to the enjoyment and understanding of this remarkable story of our brave local VC. The Medici family is the subject of intense study, with real and imagined portrayals in books, novels and more. But what about those who served and lived in that household? One such member was an Englishman called Peter Biddulph, whose career took countless turns before he found his role there. Born in 1600 into a Catholic family he was one of six sons of Richard and Ann Biddulph of Biddulph Hall, Staffordshire, England. He and his two brothers, out of necessity in those times of persecution, took the alias of Fitton and trained abroad to become priests. He entered the College at Saint Omer aged 13 and by 19 as a paying student, the English College in Rome, where he was described as being, ‘of noble parents, brought up in Staffordshire and Lancashire’, where he studied Greek and Latin. Soon, however, his life was linked to a single event that carried his name: the -‘Fitton Rebellion’- of 1623. Discord between the Jesuits supported by students in the orders and the seminary students had become acrimonious and Fitton, along with 13 other students, was accused of insubordination. On hearing of this, the pope sent his representative known as ‘the visitor’ to inquire. Some of the students were ordered to do penance; others including Fitton were expelled and sent to Douay, France, to finish their studies, yet they carried with them a letter proclaiming their innocence of any charges. The event distanced him not only from his father but also from his brothers who were by then priests in Valladolid. When his father died in 1636, it is probable that Fitton was excluded from the will; over a decade had passed but the ‘rebellion’ had not been forgotten. Ordained in 1625, Fitton was, in 1631, appointed as the clergy agent or representative of the seminary priests of England and Wales in, of all places, Rome. We know however that by 1635 Fitton, his workload affecting his health, wished to leave Rome but he was unable to be released from his duties. Surreptitiously visiting London in 1642, he was described as a priest at large, (a treasonable offence punishable by a gruesome execution) and indicted. 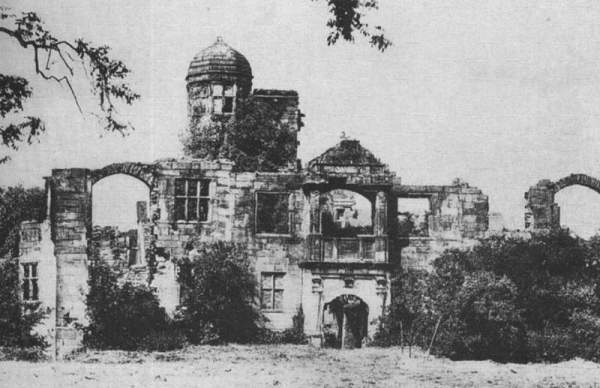 We next hear that he is appointed dean of the chapter for England in 1644, which he oversaw from Paris due to the English Civil War, which reduced the family home to a romantic ruin. He was back in Rome in 1646-47. But by 1655, Fitton had obtained a position in Florence as archivist/librarian to Cardinal Leopold de’ Medici, the brother of the grand duke, Ferdinand. At 55 he seems to have found quietude and possibly his true vocation, however brief it proved to be. For two years he catalogued the grand ducal collections, including intaglios, corresponded with fellow antiquarians in Paris and Rome, and drew a salary from the royal treasury. At the end of his life, in 1657, ‘Pietro Fittone’ was known as a distinguished antiquarian with a great knowledge of coins, medals and statuary. His last resting place has still to be looked for. 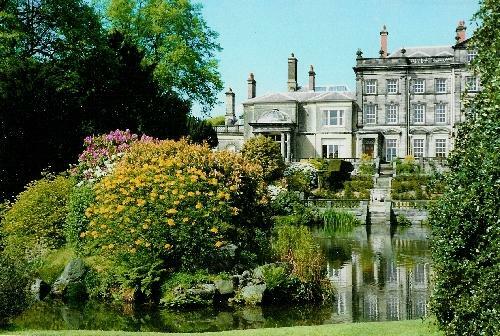 Phillip Wheeler lives in Stoke-on-Trent and after co-authoring “A Greate Service: The Biddulph Family and the Old Hall” (1997) he has continued to research the period and family. Duke of York Square by Michael Turnock, published to coincide with this year’s walk at £2.50. This work was prepared by Michael for the Staffordshire Historical Survey and all the photographs were taken by Michael in March 2011. The three streets known locally as the “Square” are located between High Street and Station Road in an area mentioned on the 1876 map of Bradley Green (the original name of present day Biddulph) and a mainly working class residential area in that period. “St Lawrence Parish Church, Biddulph - Parish Register of Baptisms, Marriages and Burials 1813-1836” was originally transcribed by the Society and published in 2003. It has been reworked and printed with a full list of baptisms, marriages and burials including a page missed in the original publication. St. Lawrence Parish Registers [Ref: B00] has 116 A4 pages and costs £4.00. The book has been produced from an A3 photocopy of the original sale document which was in the possession of Mr. Christopher Slater of Biddulph who gave the Society permission to take a copy. It has been converted to an A4 publication with missing information added from copies at the Staffordshire Record Office (S.R.O.) and William Salt Library in Stafford. It includes seventeen pages describing the House and Gardens; six pages of Lithograph Drawings of the House and Gardens; fifteen pages of details of the fields, field use and tenants; and finally, eleven pages of Maps of the Estate drawn in 1791. All this information will be on sale at £4.00 per copy. The Biddulph & District Genealogy & Historical Society is pleased to announce that “Moor to War” written by Michael Turnock is still available to buy at £2.50 per copy. ..... and that the re-published version of Mr. Gordon Lomas‘s “Brindley Ford” is also available. Gordon describes growing up in Brindley Ford, the people of the village, the local dialect of the people and miners, the Churches and Chapels, the Victoria and Chatterley Whitfield Collieries and the beginning of Primitive Methodism in the area. One of the new pictures added to the original copy in this edition which costs £5.00. Womens Work in The 1940s and 1950s. B22: ‘From Workhouse to Lord Mayor’ a reprint of George Herbert Barber’s autobigraphy which was first published in 1937. It has a prologue written by Brian Barber who is one of George’s great grandsons. Subjects covered include the setting up of Cinemas in the Potteries, working at the New Chemical Works, Stoke-On-Trent City Council with the “Lid Off”, trips by air in the early days of aviation and flights to the Continent, Palestine and Egypt, visits to Russia and Geneva, the Sunday Cinemas and experiences with Royalty. From Workhouse to Lord Mayor is on sale at £7.50 (84 A4 pages). B18: ‘A Biography of Peter Biddulph’ This is the story of Peter Biddulph alias Fitton of Biddulph Old Hall (1602-1657) written by Phillip B. T. Wheeler. The Medici family is the subject of intense study, with real and imagined portrayals in books, novels and more. But what about those who served and lived in that household? Many whose names were well known at the time have faded into obscurity. One such member of the Medici household was an Englishman called Peter Biddulph, whose career took countless turns before he found his role there. A Biography of Peter Biddulph has 40 A5 pages and cost £3.50. 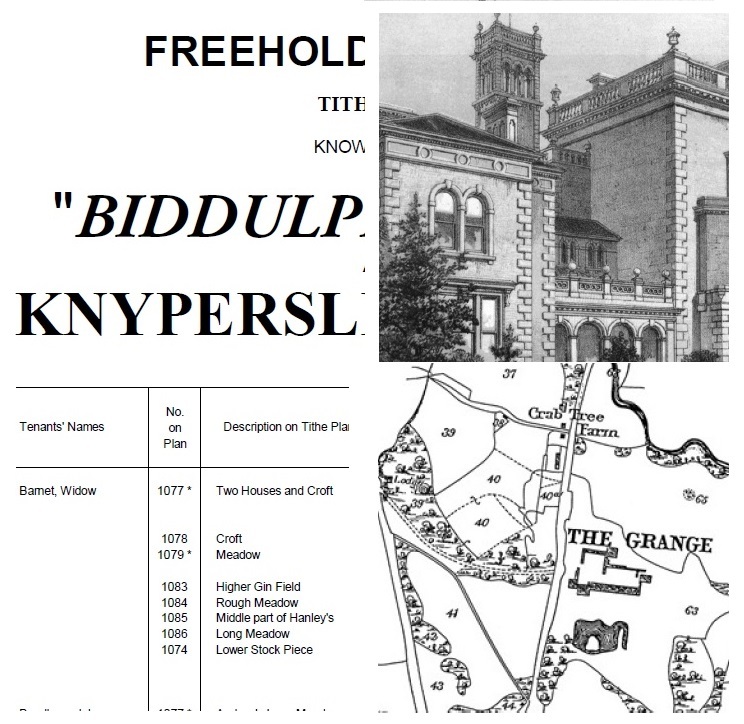 B17: ‘The Biddulph Grange and Knypersley Sale Document of 1871’ compiled by David J. Outhwaite. When James Bateman decided to sell his Estate the sale document included seventeen pages of description of the House and Gardens; six pages of lithograph drawings by Kell Brothers of London including Biddulph Grange, the Billiard Room, the Italian Garden, China Garden, the ruins of Biddulph Old Hall and the Grounds; fifteen pages of details of the fields, field use and tenants; and eleven pages of Maps of the Estate drawn in 1791. It has been converted to an A4 publication with missing information added from copies at the Staffordshire Record Office (S.R.O.) and William Salt Library in Stafford. The Sale Document of 1871 has 56 A4 pages and costs £4.00. B16: ‘Moor to War’ written by Michael Turnock was launched at the March AGM. It is the story of two friends from Biddulph Moor who went off together to fight in the Great War 1914 - 1918. The book has 20 A4 pages and costs £2.50 per copy. B09: ‘A Survey of the Inhabitants of Biddulph 1801’ of May 2012 compiled by Mr. Derek Wheelhouse. A list of all the families of Biddulph originally taken by the Reverend J. Wilson. The booklet has 8 A4 pages and costs £1.50 per A5 copy or A4 Adobe PDF file. B08: ‘A Survey of the Inhabitants of Biddulph 1779’ of May 2012 compiled by Mr. Derek Wheelhouse. A list of all the families of Biddulph originally taken by the Reverend J. Wilson. The booklet has 8 A4 pages and costs £1.50 per A5 copy or A4 Adobe PDF file. B07: ‘A History of Biddulph’ – from the writings of Mr. Richard Biddulph of January 2012. Published as an A5 book in 1997 and updated as a PDF document. The history of Biddulph from 1600 including the English Civil War and Siege of Biddulph Old Hall. The book has 60 pages and costs £2.50. 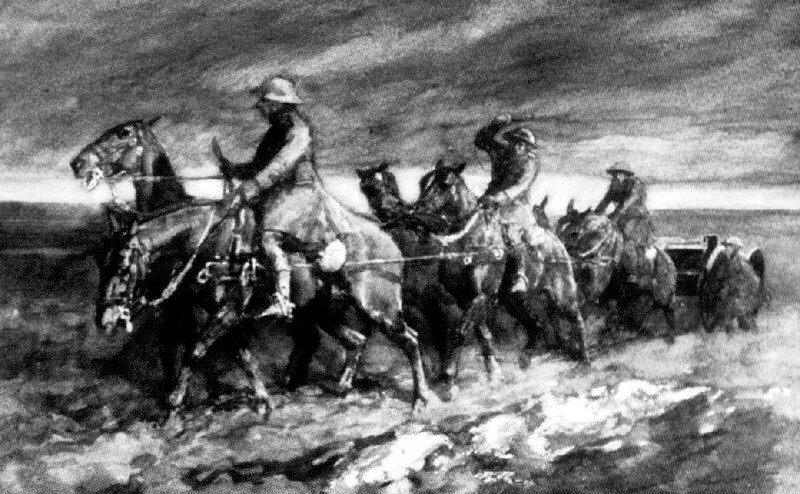 B06: ‘Always Doing His Duty - The Story of John Harold Rhodes - A Packmoor Hero’ by Michael Turnock of October 2017. This is the life story of Lance Sergeant John Harold Rhodes V.C., D.C.M. of the 3rd Battalion Grenadier Guards who was awarded a V.C. for his bravery on the 9th October 1917. The book has 24 colour pages and costs £3.00 per A4 copy or A4 Adobe PDF file. It is an updated version of ‘A Packmoor Hero of the First World War’ written by Michael Turnock, and published in June 2011. B05: ‘Old Gillow – the story of the community at Gillow Heath’ by Elaine Heathcote of September 2010. 154 pages of anecdotes and history of the village next door to Bradley Green (Biddulph). The book has 154 A4 pages and costs £12. B03: ‘The Story of the Creation of Meadows Way: the Biddulph Inner By–pass’', written and edited by Nigel R. Yates in 2003 and published in March 2007 with colour photographs taken by Brian Nightingale, Michael J. Turnock and Nigel R. Yates. The book details the long arguments and fight for the by–pass. It includes a photographic record of the town before and during the building of Meadows Way and has over 100 colour photographs. Click here By-pass to see some of the photographs included. The book was printed with support from The Tourism Committee of Biddulph Town Council. B01: ‘St. Lawrence Monumental Inscriptions No.1’. A survey of every gravestone around Biddulph’s Parish Church of December 2002 was transcribed and compiled by Gordon and Pam Lomas. [The 658 graves closest to the Church] The book has 116 A4 pages and costs £6.00 (of which £2 will donated to the Douglas Macmillan Hospice). B00: ‘St. Lawrence Parish Church, Biddulph - Parish Register of Baptisms, Marriages and Burials 1813-1836’ was originally transcribed by the Society and published in 2003. It has been reworked and printed with a full list of baptisms, marriages and burials including a page missed in the original publication. St. Lawrence Parish Registers has 116 A4 pages and costs £4.00. T12: Transactions 12 of December 2017 ‘Ada - Love At Jerusalem’ research by Christine Jesson into the book written by Henry Francis Gordon and published in 1895 with references to Biddulph And Knypersley. The original book was found in the collection of the late Mr. Harry Page. (40 pages). 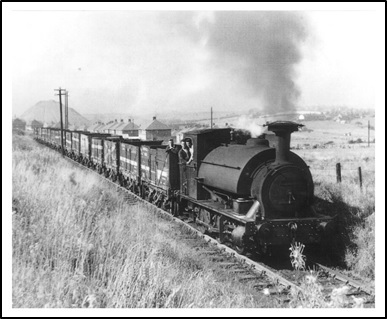 T11: Transaction 11 of June 2015 ‘Early Rail Transport in the Biddulph Valley’ written by Mr. Paul Blurton and based on research by Mr. Derek Wheelhouse. The information has been updated and extended with all photographs in colour. (31 Pages). T10: Transaction 10 of April 2015 an ‘Early History of Chatterley Whitfield Colliery’ written by Mr. James Jack in 1935. Converted from Mr. Jack’s hand written notes, this is a personal view of the development of one of the largest local collieries. (35 Pages). T09: Transaction 9 of April 2015 the ‘Writings of Mr. Harry Page’ A Tribute to a Founder Member of the Biddulph History Society who died on the 6th of January 2015 including trips organised by Mr Harry Page as ‘Excursion Secretary’ of the Biddulph History Society; Extracts from ”Biddulph by the Diggings” and, Extracts from “The Biddulph Players 1950 – 2000”. (53 Pages). T08: Transaction 8 of February 2015 includes amongst other articles: A look at Religion in the Staffordshire Moorlands – including three chapters from The Centenary of Primitive Methodism and notes on the Quakers. It also includes short articles on Local Policing, a local memory, a marriage bond and a walk around Bursley. (39 Pages). T07: Transaction 7 of December 2012: “From Bradley Green to Massachusetts” by Mr. Enoch Whalley The memories of Mr. Enoch Whalley of Gillow Heath first serialised in the based on the fifteen chapters published in the “Biddulph Chronicle” between the 31st December 1937 and the 14th of April 1938. In 1997 a reprint was published in twenty one parts between the 21st of February 1997 and the 11th of July 1997. This is the first time all the document has been published in a single book. (74 Pages). T06: Transaction 6 of February 2012 includes amongst other articles: The History of Astbury Hydraulic Limestone Works by Derek Wheelhouse; exploring the Astbury Hydraulic Limestone Works by Len Kirkham; and A Walk around Mow Cop to Astbury Limestone Works. (56 Pages). T05: Transaction 5 of June 2011 includes amongst other articles: The History of Lea Forge Colour Works by C E Ellerton; Hedge dating in Gillow Heath by Elaine Heathcote, and early rail transport in the Biddulph Valley by Derek Wheelhouse. (47 Pages). T04: Transaction 4 of December 1973 includes amongst other articles: The Biddulph Valley Railway 1854 - 1864 by John Hancock, the Development of Motor Bus Services in the Biddulph and surrounding area by Adrian Lawton; and, An article on Biddulph Hall from the Staffordshire Advertiser 1854. (35 Pages). T03: Transaction 3 of June 1972 includes amongst other articles: Part 2 of Coal Mining in the Biddulph Area up to the end of the C19th by Derek Wheelhouse; Tramways and Railways in the Biddulph Valley 1800 – 1854 by John Hancock; Biddulph Surnames 1200 – 1600 by John Sherratt; and, A Day at Knypersley Hall from the Staffordshire Advertiser 1853. (37 Pages). T02: Transaction 2 of June 1970 includes amongst other articles: Part 1 of Coal Mining in the Biddulph Area up to the end of the C19th by Derek Wheelhouse; The Passenger Services of the North Staffordshire Railway on the Biddulph Valley Branch Line by John Hancock; and, Old Buildings of Biddulph - The White House by Sylvia Tansley. (24 Pages). T01: Transaction 1 of June 1968 includes amongst other articles: The Excavation at Lee Forge, Biddulph 1967 by J.L. Bestwick and Place Names in Biddulph by John Sherratt. (13 Pages). Cost of Transations: T01 - T06 (A5) cost £2.00 each and Transactions T07 - T11 (A4) cost £4.00. Only a limited number of these books are available please eMail a request for a copy.